A combination of high electricity tariffs, falling solar PV prices and a lack of reliability on the grid is spurring sales of on-site solar to business customers in sub-Saharan Africa. This is the conclusion of a new report by research company BloombergNEF (BNEF), commissioned by responsAbility Investments, assessing the potential of commercial and industrial solar opportunities in the region. The report, Solar for Businesses in sub-Saharan Africa, finds that the commercial and industrial (C&I) solar sector in sub-Saharan Africa is growing not because of regulatory support – as has been the case in many developed economies – but because of economics. 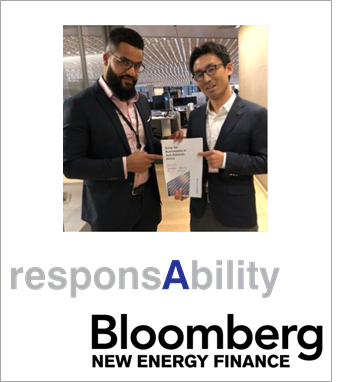 “While the market is still small, it has great potential,” explained co-author Takehiro Kawahara, lead frontier power analyst at BNEF. According to the authors, the financial sector has yet to take on a major role in providing funding for C&I solar systems. So far, most business customers have bought systems for cash, without using third-party finance. There are, however, big opportunities for specialised financiers in the region to do more. The company expects solar to be increasingly deployed on C&I sites, where it often complements diesel power generation.